The Fiscal Research Center has created an interactive data visualization of the 2019 Georgia rankings report. 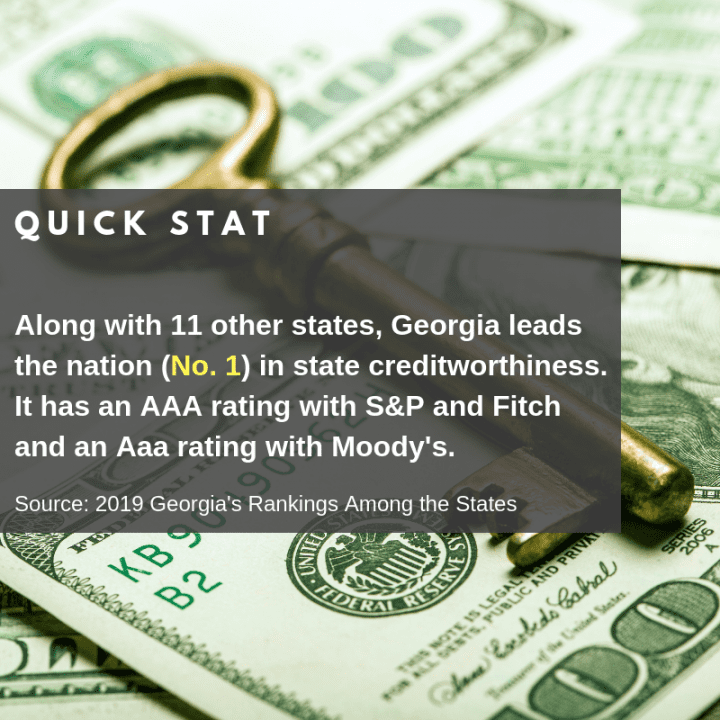 The rankings report is a collection of quantitative metrics and state rankings that compare Georgia to states across the nation. While several of the comparisons focus on total state or local government revenue and expenditures, the report also includes a number of measures that provide comparisons of either expenditures or state characteristics within specific functional areas, such as education, health, and transportation. The state rankings for each topic are generally (with a few exceptions) determined by the reported total dollar value or percentage, with the highest state value or percentage ranked number one. This 2019 edition is an annual publication from the Fiscal Research Center. We hope it will serve as a convenient reference guide for policymakers, the media and the public.